It is that time of the year when we join with our farming neighbours in preparing for the annual ploughing match. 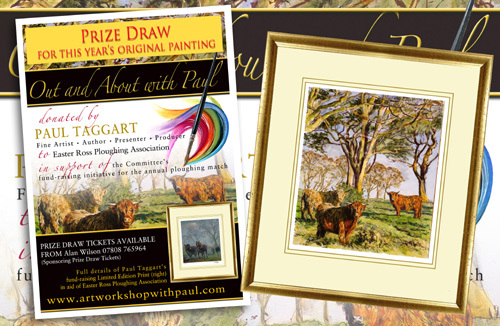 For the fifteenth year running, I have produced a unique original painting, which we have donated to the ploughing match committee as the principal prize for their Annual Prize Draw (tickets for which can be purchased from Allan Wilson on 07808 765964 - UK mobile). This method would suit anyone wishing to produce oil painting sketches, or more detailed paintings and is one that would also help anyone wishing to make the transition from acrylics to oils. The versatility and beauty of this method being that you can be as loose as you want, or as detailed as you feel the subject requires. In this workshop I have opted for a mixed approach, reacting to the individual elements within the scene, in terms of not only the linework and the tonal underpainting, but also in regard to the manner in which I exploit glazes and tints. Don’t think of this as a tutorial simply about the method, for it is much more than that. This process will also help you learn about tone and value, the underlying acrylic layer in which you will ‘sculpt’ volume and form; essential in effecting the three-dimensional quality in your painting. Your knowledge of colour mixing will develop, both when mixing very specific colours on the palette and on the surface, as coloured glazes are laid over each other. As with all of my work-along tutorials, this start-to-finish workshop is filmed in real-time, so that you get to see every step of the process, from working out the composition to the final finishing highlights. Nothing is withheld, as the camera picks up in detail every stroke made on the surface and every colour mix, accompanied by my running commentary throughout. 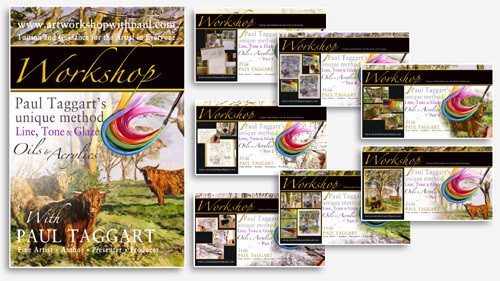 This workshop is packed-full of information, all of which will stand you in good stead for developing your work in oils and/or in acrylics. Read the detailed descriptions for each episode and you will understand fully what each video covers. 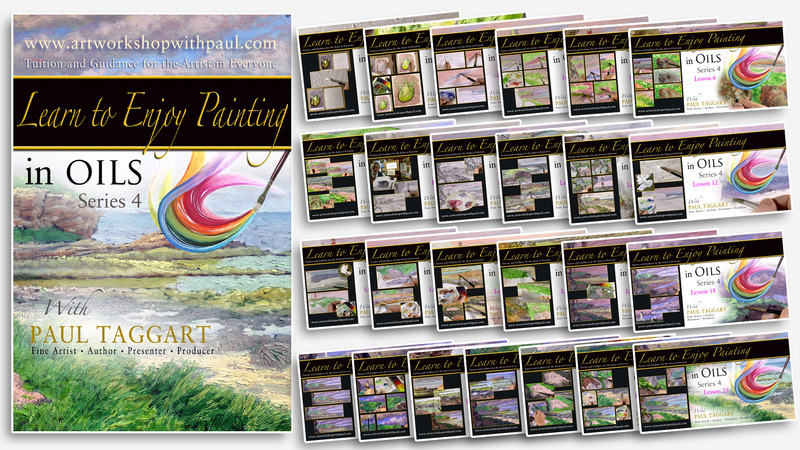 Check-out the links to companion videos, which could prove useful in helping you develop this technique further, or, for that matter, provide you with even more techniques to add to your painting repertoire. 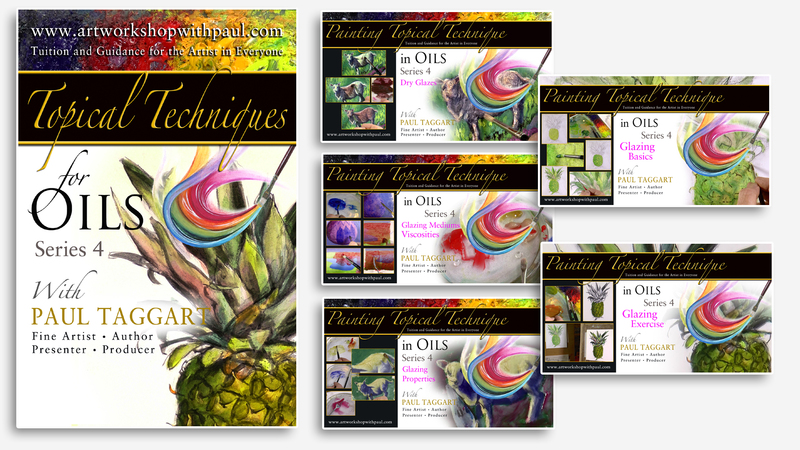 I adore the rich, traditional techniques in oil painting, which figure in all of my Masterworks, and have very much enjoyed sharing them in my many oil painting tutorials. We look forward to your company and as always, this comes with best wishes for your painting, from Eileen and myself.